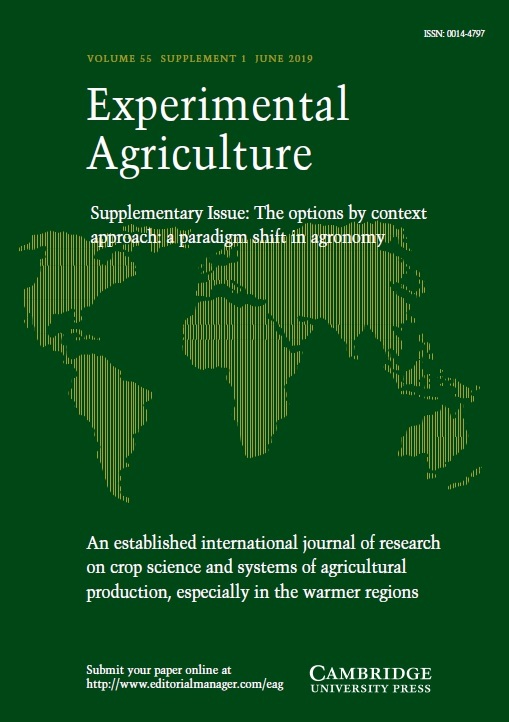 With a focus on the tropical and sub-tropical regions of the world, Experimental Agriculture publishes the results of original research on field, plantation and herbage crops grown for food or feed, or for industrial purposes, and on farming systems, including livestock and people. It reports experimental work designed to explain how crops respond to the environment in biological and physical terms, and on the social and economic issues that may influence the uptake of the results of research by policy makers and farmers, including the role of institutions and partnerships in delivering impact. The journal also publishes accounts and critical discussions of new quantitative and qualitative methods in agricultural and ecosystems research, and of contemporary issues arising in countries where agricultural production needs to develop rapidly. There is a regular book review section and occasional, often invited, reviews of research.